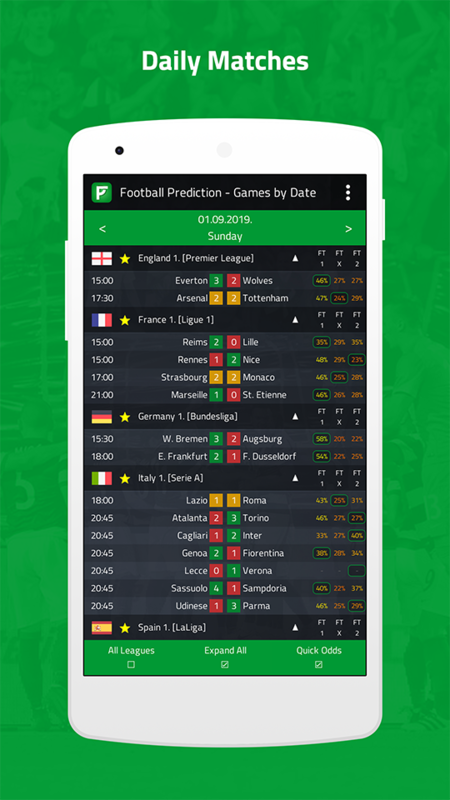 Predict the outcome of football (soccer) matches. Statistical prediction is a method used in sports betting, to predict the outcome of matches by means of statistical tools and using complex math formulas. 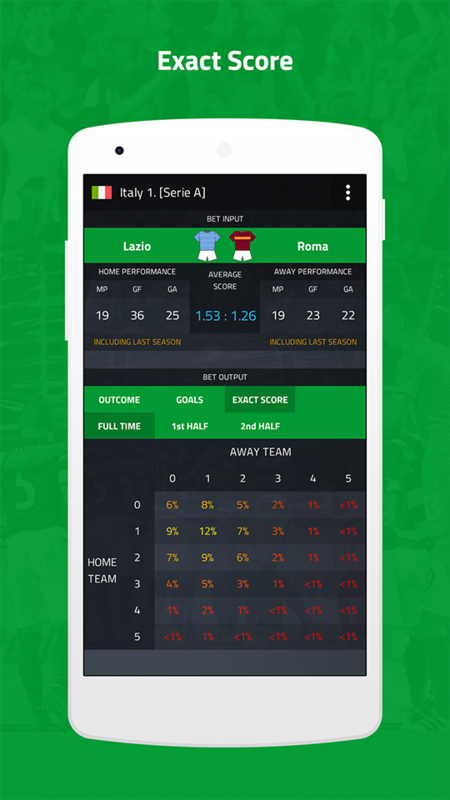 Who doesn't want to predict the result of a football (soccer) match? The best way to make a prognosis is to estimate the probability of the outcome. You cannot work out the probability of winning a football match by assuming that win, lose and draw are equally likely, but you can look at previous results in similar matches and use these results to estimate the probability of winning. 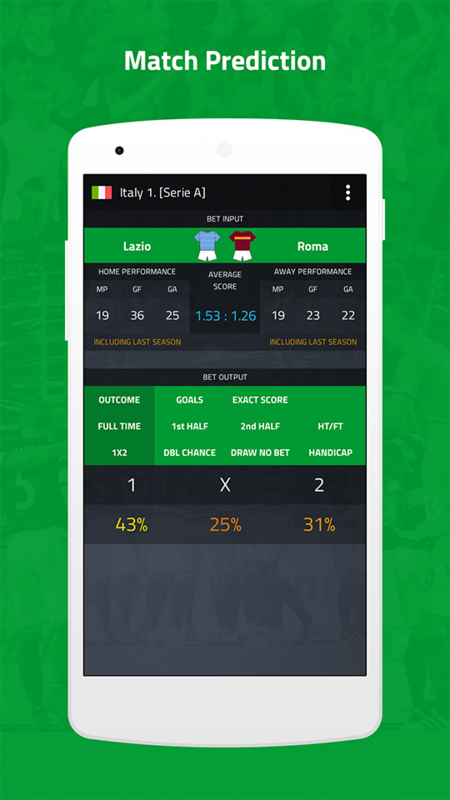 The goal of this application is to calculate 'true' odds based on mathematics that will be more suitable. You can use these predictions, but should not be surprised if the outcome is just the opposite of the prediction. IMPORTANT NOTE: This application doesn't encourage sports betting, it is intended for informational and entertainment purposes only! 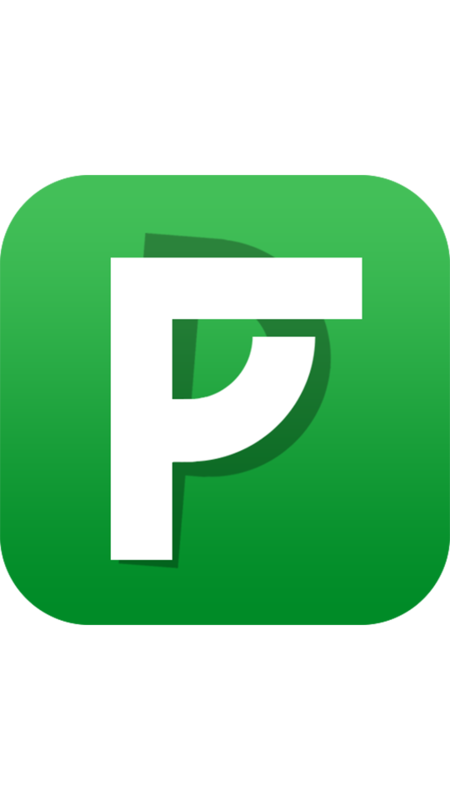 This is one of the best app I have ever seen and used. Infact you guys are doing a great job, please keep it up. This app is one hell of a help to a tipster. 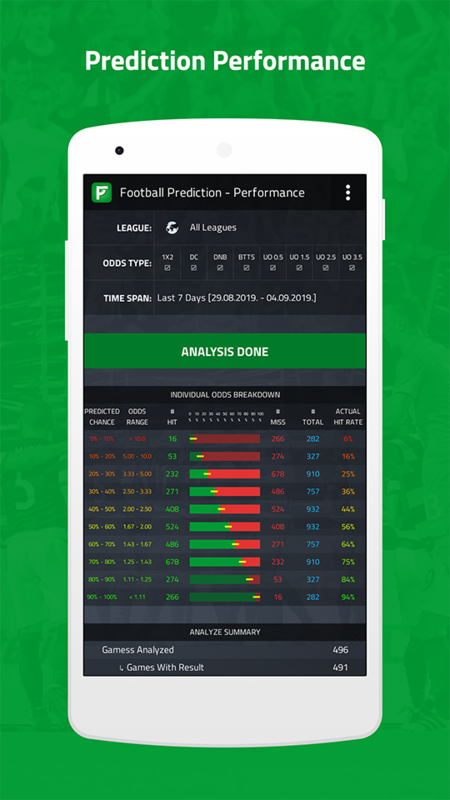 With this app I got 40 predictions correct out of 42. I have no regrets buying it. It's indeed a wonderful application. 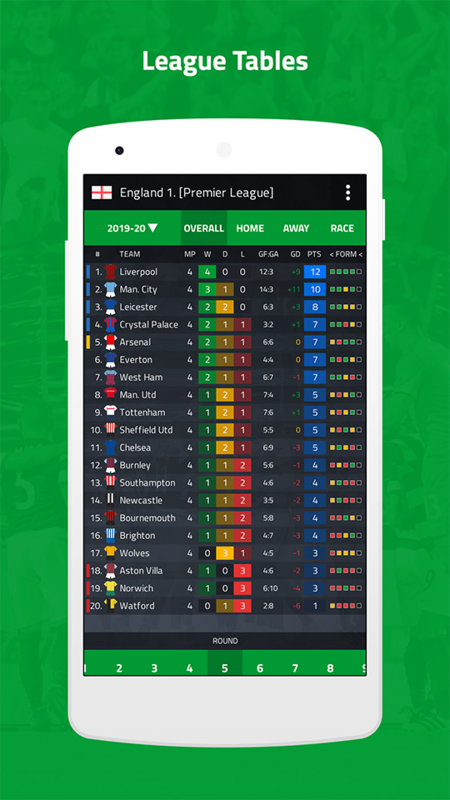 Excellent and defined more than other similar applications. Thanks so much for this. Recommended.